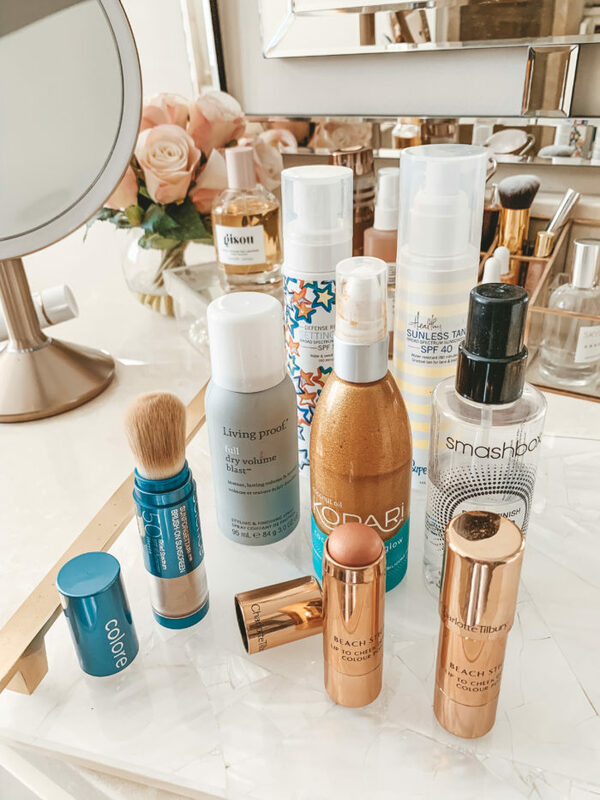 We just got back from a week-long trip in Mexico and one of the most common questions I received from you girls – is what beauty products did I pack? So as I am unpacking them all today, I thought I would share my essential beach vacation beauty products. When I think of beach trip beauty, I think effortless. I think tan, bronzed, glowy skin and of course beach curls. These are all products that enhance that natural beachy glow that we all want while on vacation! 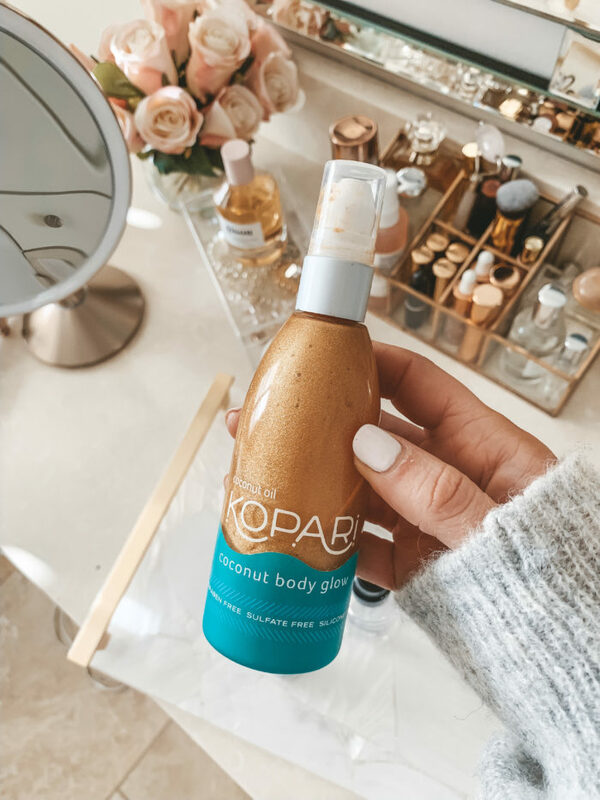 To add a bit of extra shimmer and glow to my skin and to keep my tan looking good, I will bring a small bottle of bronzing oil with me! I love Kopari’s Coconut Glow. It’s an organic, coconut oil-infused skin illuminator with pearly pigment that delivers hydration and a flattering glow. It looks amazing for a night out, or a breakfast on the beach. Oh and bonus, it smells amazing! 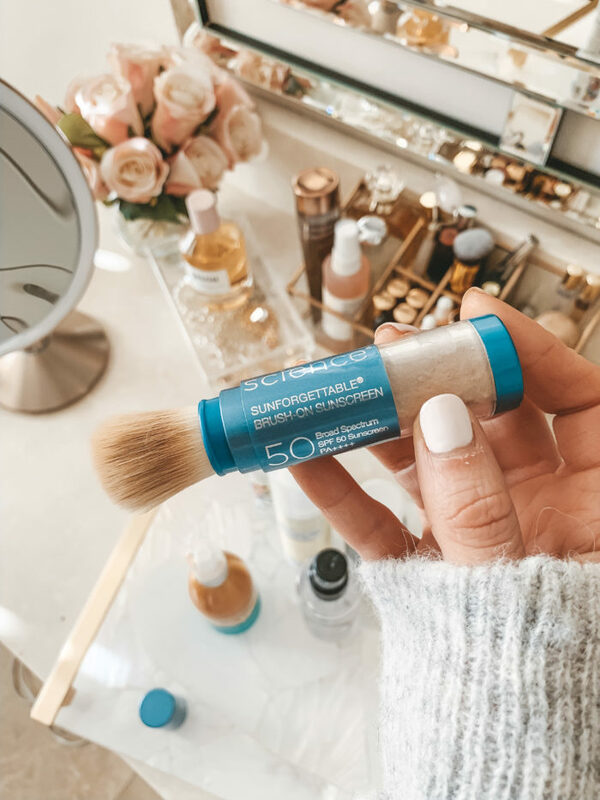 Also known as “powder sunscreen” is great for travel (non liquid form), easy to apply, provides 50 SPF and can be apply over makeup. I love how light the powder is, it blends right in and you don’t even notice it. I apply on my hands, face and neck. Shop it here –use CELLAJANE20 for 20% off! I find that my spray tans wear off after a couple days on your trip so I like to pack a few of these tanning wipes to maintain a tan. They give a natural sun-kissed tan. I like to apply before bed and then wake with a tan. I apply in circular motions all over my body, from my face to my legs. No orange streaks AND it does not stain any of my clothes nor sheets. The wipes are paraben-free, self-tan formula to give your face and body a quick, even application with no streaking. Get a uniform, healthy-looking glow within 2 to 4 hours! I swear by dry shampoo on our vacations. 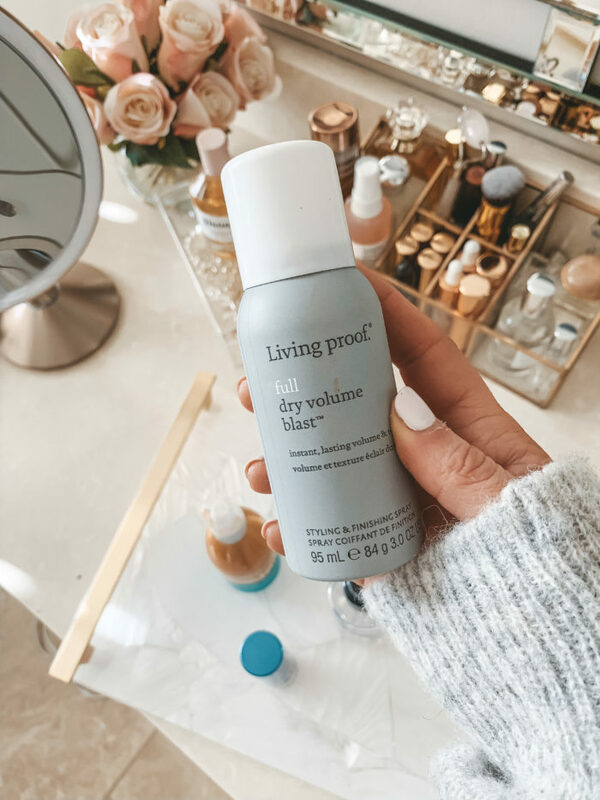 I pack a travel size bottle of dry shampoo (love this one) bc it was a light refreshing texture that can spare you a quick hair wash, especially when you don’t have time to wash your hair before a night out or dinner – which is usually my case! This 2-n-1 texturizer and wave enhancer is amazing. It not only gives my hair beach-inspired waves but also adds shine. It’s fruit scented and creates texture and piecey separation with very little scrunching. LOVE! The last Must-Have Vacation product is this primer water by Smashbox. 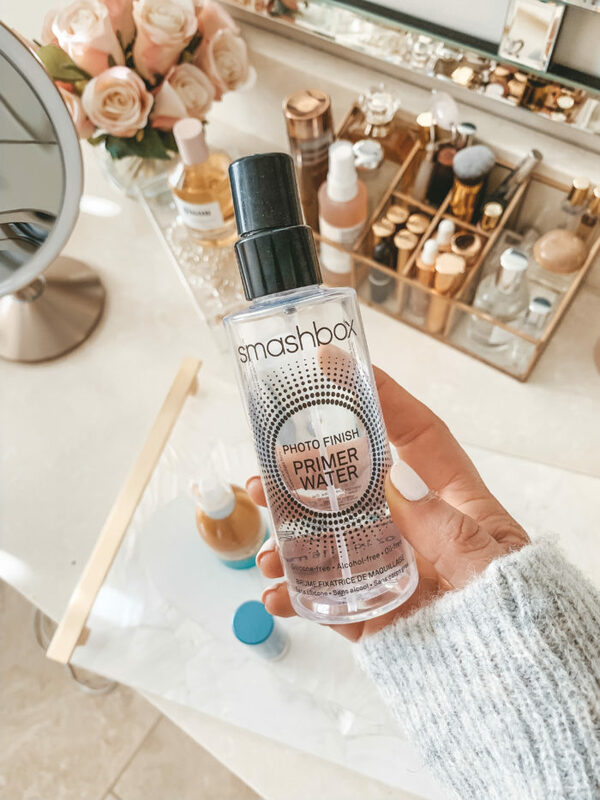 Yes, this says “primer” but I use it to set my makeup. 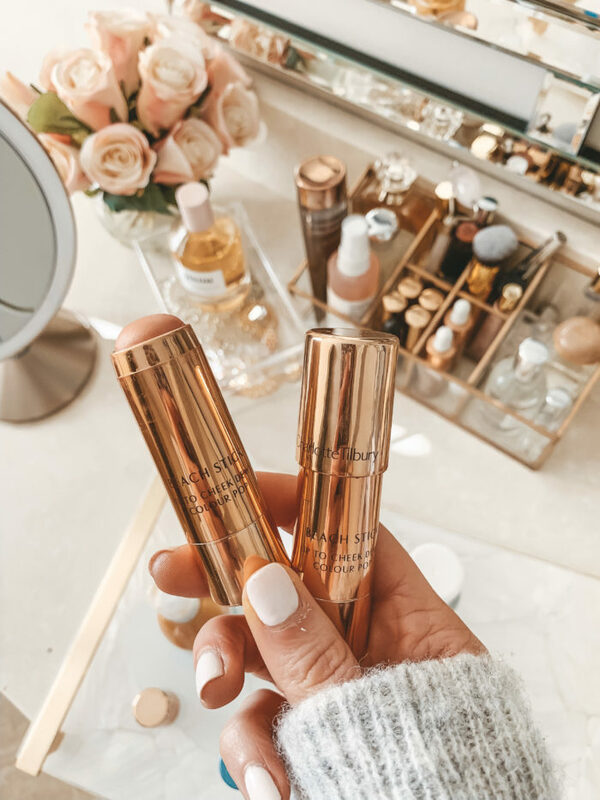 It makes my skin look dewy and fresh while giving me an extra boost of hydration I so desperately need after a day in the sun! A few other products to note. 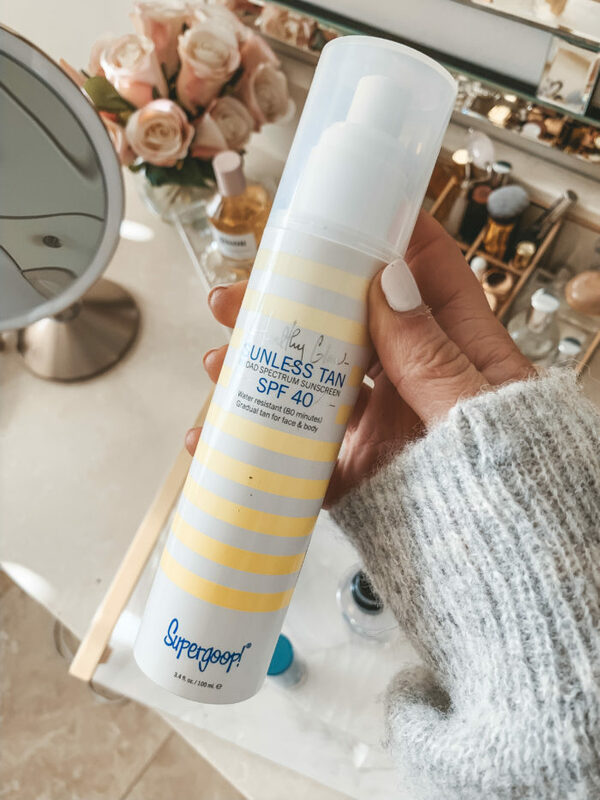 I love this tanner because it has a built in SPF and you can apply it poolside just like a suncreen. It sprays on and rubs in clear. Another product I like to take to the pool or beach with me. 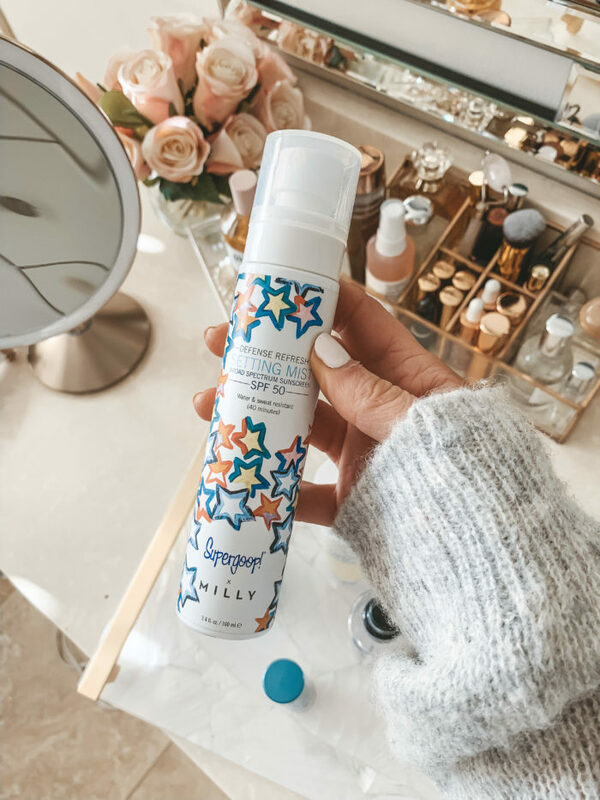 I spritz my face every hour with this refreshing setting mist and SPF. The mist smells amazing and it helps control shine and protect against UV rays. What are your must-have beauty products for tropical vacations?